Although the brand Rodial may sound new to many, it was founded 18 years ago in the UK by a journalist, Maria Hatzistefanis, as a skin care brand that has since expanded to include makeup as well. I got introduced to the brand when I was in London, pulled in by the dark alluring booth and names of some of the skin care items (dragons blood and snake serum). Rodial is available internationally and for my Canadian beauties, check out your Shoppers Drug Mart for the brand. Of course, the makeup section of the stall pulled me in so I got lost in the skin tints (that I reviewed two weeks ago) as well as their Instaglam Compact Deluxe Banana Powder (52 GBP) and Contouring Powder (52 GBP). The packaging reflect the hefty price tag (which equates to $84 CAD/ powder!). Each powder is housed in a magnetic compact with a mirror on the inside. On the outside, each compact has a leather front with a silver R and boarder that are slightly raised. Each compact is quite heavy. Banana is your typical light yellow shade, useful for brightening up your under eyes to give you the kim kardashian halo. The colour of this powder, although may initially be quite intimidating, actually blends into my skin nicely to give me the appears of a soft brightness as opposed to jaundice. The contour powder is a cool tone brown with grey undertones. 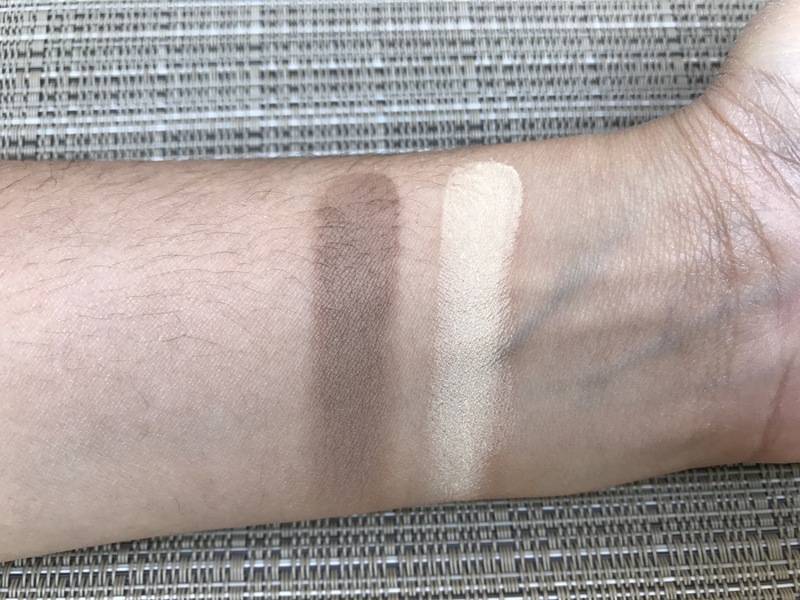 I personally love this type of shade to contour with because the undertones mimic the effect of shade on the skin to give a more natural yet impact definition. I rarely (if ever) contour with warm bronzers. I do enjoy the texture of these powders, which are extremely soft to the touch (almost creamy), pigmented and deposit rich colour that leaves my face with subtle definition. So with the rave reviews, you probably think I’m going to beauty swatch approve this with flying colours…. not so much. I cant get over the almost $90 CAD (after tax) price tag for ONE powder. To be worth this price, the shades need to give me a face lift, face tuck, and I need to come out looking like Kim Kardashian. For that reason alone, although these are GOOD powders, they’re not $90 CAD good. So I cant Beauty Swatch approve these.